What to expect for this big SM Seaside City Arena in Cebu City? Soon to rise in Cebu, this 22, 000 capacity along with the SM Seaside City mall which will open this November 2015. Another pride of Cebu soon surge. 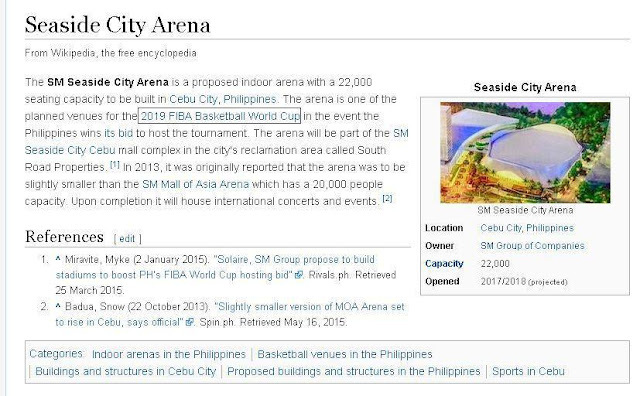 Wikipedia's - "The SM Seaside City Arena is a proposed indoor arena with a 22,000 seating capacity to be built in Cebu City, Philippines. 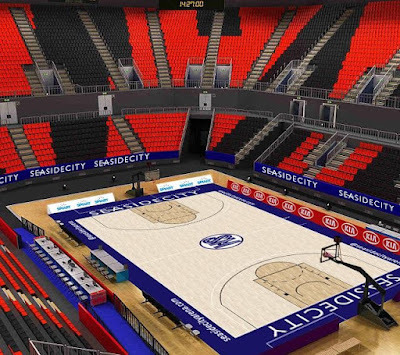 The arena is one of the planned venues for the 2019 FIBA Basketball World Cup in the event the Philippines wins its bid to host the tournament. The arena will be part of the SM Seaside City Cebu mall complex in the city's reclamation area called South Road Properties. In 2013, it was originally reported that the arena was to be slightly smaller than the SM Mall of Asia Arena which has a 20,000 people capacity. Upon completion it will house international concerts and events. "